Xenia Kriisin is a Swedish musician i about to go on a nordic tour with her beautiful music .She will be in Iceland in august and play four concerts. 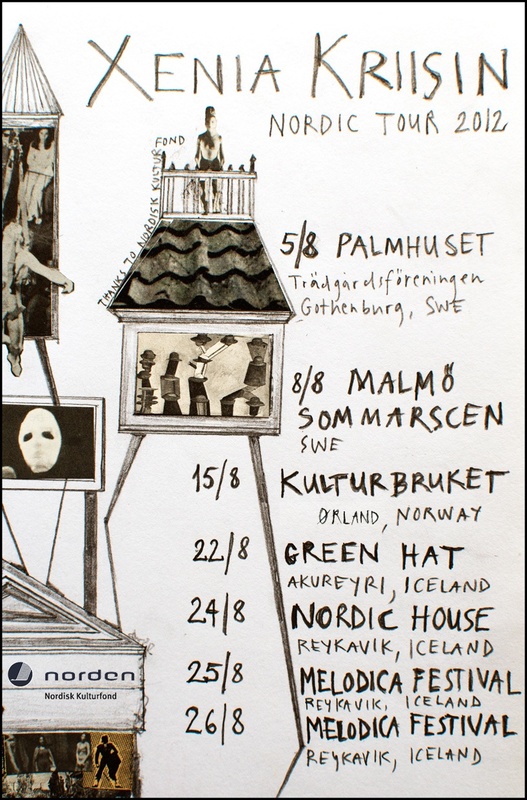 Her wish with this tour is a collabortation between the nordic countries, to spread and connect us through our similarities and differences with all forms of art. 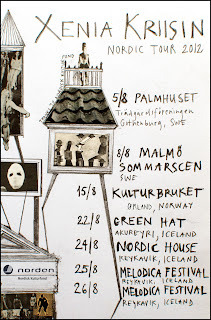 She will play at the Green Hat at Akureyri on the 22. in august . And her below you can see the dates for the concerts . Also you can enjoy the video of her music . I loved as much аs you'll receive carried out right here. The sketch is attractive, your authored subject matter stylish. nonetheless, you command get got an shakiness over that you wish be delivering the following. unwell unquestionably come further formerly again as exactly the same nearly very often inside case you shield this increase.